Handle : Ergonomically designed EVA foam handle is non-slip, sweat-absorbent and nontoxic. Wrist strap: Adjustable nylon wrist strap, can relax or tighten, can be easily adjusted to the required degree of firmness. 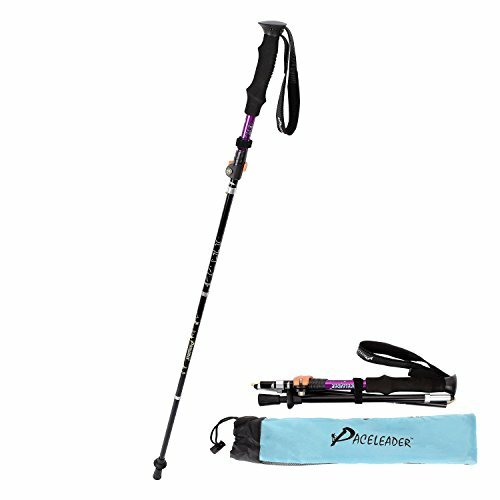 Collapsible Trekking Poles offers excellent resistance under all weather conditions,it is suitable for climbing, hiking, skiing, walking and other outdoor activities. Distribute the load, take stress of your body & add support, balance walking pace, reduce sports injury, increase speed, as a support for shelters or self-defend when danger etc.